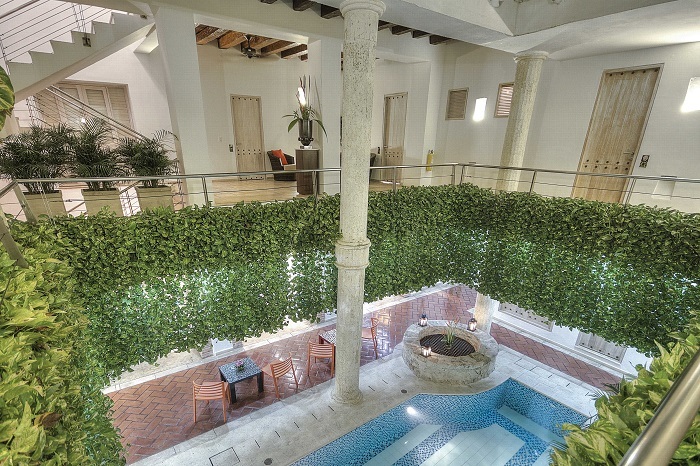 Hotel Casa Canabal is located in the traditional neighborhood of Getsemani, rich in history and colonial architecture. The hotel is named after the illustrious Dr. Maria Cartagena Eusebio Canabal, one of the signatories of the Declaration of Independence in 11 November 1811, who had his residence in the same street where the hotel is located. The hotel's rooms have terracotta floors and modern furnishings. Their restaurant serves international cuisine. Guests can sip champagne on the terrace, or enjoy a swim in the outdoor pool. The hotel also features a spa center with a sauna. The following discounted rates have been negotiated with Hotel Casa Canabal for our guests. Below you will find the rates per night according to different types of rooms. Please send your inquiry via email to Laura Delgado at marketingyventas@casacanabalhotel.com and reference "Matt & Ximena Wedding" in the subject. You will need to send her the following Credit Card Authorization Form completed and signed (English/Spanish). To guarantee your reservation, the hotel will pre-charge the first night of stay. The remaining amount can be paid at the hotel during check-in.